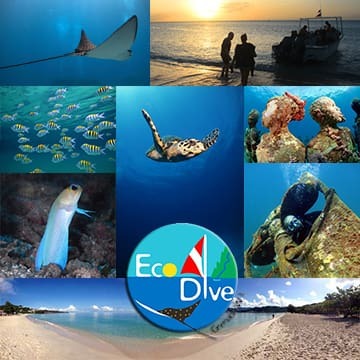 Coyaba – Home to Eco Dive – Join us! Dive & Stay with us at Coyaba Beach Resort. Double and single occupancy packages are shown below. For booking information or further package options please Contact Us. The above room rates are based on double occupancy for Garden/Pool View rooms and include all taxes, continental breakfast, all boat dives, tanks and weights. Packages are exclusive of scuba diving equipment rental. Single occupancy packages shown below and also include all taxes, continental breakfast, all boat dives, tanks and weights.